If you are anticipating the purchase of a commercial refrigerator, there is a variety of factors that must be considered, including floor space concerns, maintenance costs, fridge capacity, refrigerator components and other needs specific to your kitchen. Of course, cost is also a significant consideration and one to which you must give quite a bit of thought. Additionally, there are minor aspects that may not be as important as those listed above, but nevertheless should not be overlooked. 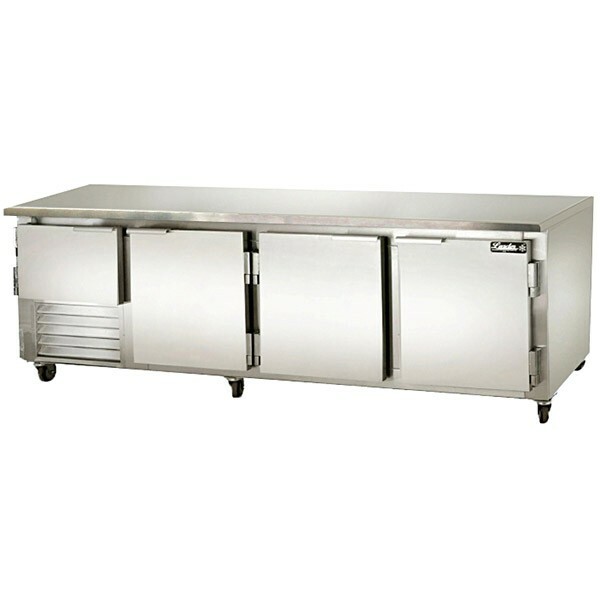 For instance, if you own a small restaurant that does a high volume of business and has a somewhat cramped kitchen, then you may wish to consider a commercial work top refrigerator that features a food grade surface. This means that you can use the top of the fridge as an area on which to prepare food. It is also important to keep in mind that manufacturers and distributors often have customized models that can be altered to suit your needs in a more efficient manner. For example, certain manufacturers may have the ability to add casters to their models to make them mobile, while other suppliers may not offer customization of this type. Because the services and models offered by different suppliers vary considerably, it is important to be clear about your individual needs prior to shopping for a new commercial fridge. The following are descriptions of various models and why they are favoured in different commercial kitchens. Display refrigerators and glass door refrigerators are models frequently found in grocery stores and similar establishments. They were created to ensure consumers would be able to easily identify the items for which they are looking. They are popular among store and restaurant owners for various reasons. For instance, if you own a busy restaurant, a glass door refrigerator will help you quickly identify when specific items must be restocked. Additionally, if your restaurant sells baked goods, a display refrigerator is perfect so that customers can pick up bread or desserts when running errands, or purchase something to take with them after dining in your restaurant. Such refrigerators work best for prepared foods. Models of this kind usually have sliding doors, rather than doors that swing out. This design saves space and prevents accidents. 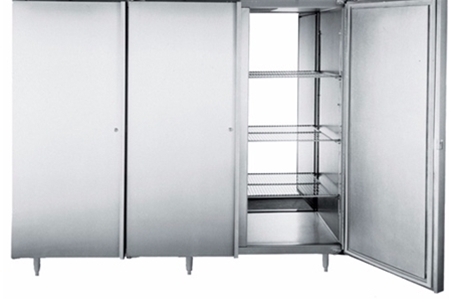 Refrigerators with solid doors are quite popular in all types of commercial establishments and are usually rated very highly with regard to energy efficiency. They are typically made from stainless steel, and are particularly useful for storing raw foods and perishable ingredients. Numerous commercial kitchens prefer these models, as they help keep unprepared ingredients fresh. In addition, they offer plenty of storage space and shelves. Models of this type may feature anywhere from 10 to 60 or more cubic feet of storage, with widths of up to 80 or more inches. For this reason, it is easy to see why many restaurant chefs prefer such models, as they prevent clutter and feature enough space to properly organize a broad range of items. Undercounter and worktop refrigerators have the aforementioned food preparation surface when closed. These models are available in numerous drawer and door combinations, and help save space in busy establishments. They are designed to fit under virtually all countertops of standard height and are both practical and cost-effective. 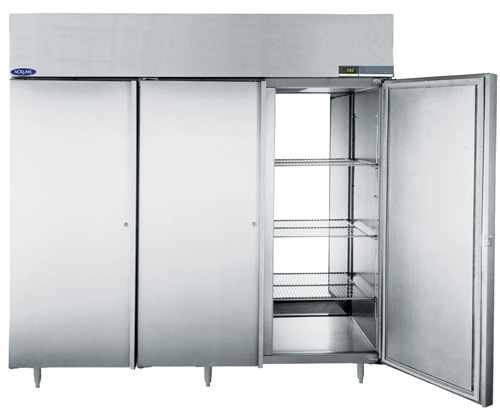 Roll-in fridges are favoured by many establishments where a need exists for large-scale cooling of bakery items. By using a roll in refrigerator, you eliminate the need for your employees to manually transfer each sheet or pan. This saves time and effort, and allows your chefs to work smart rather than working hard. Being able to roll baking racks in and out of the refrigerator as needed is highly advantageous to essentially any bakery or restaurant that deals with high volumes of baked goods. There are additional aspects of purchasing a new commercial refrigerator that you must also give thought to before making the final selection. When you have arrived at a decision regarding the model, you should also consider things such as warranty information, size, condenser location and the manufacturer from which you plan to purchase your new fridge. Your commercial refrigerator's brand name is important. This is because similar to most products you purchase, there are some companies that edge out the competition regarding the quality of the appliances they sell. For this reason, choosing a manufacturer you know you can trust is essential. Certain brands focus on providing high-quality units, while others are known for their bargain prices. Ultimately, every manufacturer has a particular niche, and it is wise to research each one before finalising your decision. Delfield, Turbo Air and True are three trusted names that are quite well known amongst both residential and business consumers. However, this does not mean that smaller, lesser-known companies do not offer good products, but you may have to conduct some additional research to make sure you are dealing with a reputable company. Even the best refrigerator models available will need to be serviced at some point in time. If you are like most business owners, you definitely want your unit fixed in a jiff when that day arrives. Every manufacturer is different with regard to the type of warranty they provide. Fortunately, commercial refrigerators typically come with a better and longer warranty than do residential refrigerator models. This is because manufacturers realize that commercial units are used harder and must take more abuse than a standard refrigerator. Certain brands offer warranties of up to three years on parts and labor, and often include access to an expansive network of certified technicians who will visit your establishment and get your refrigerator functioning at an optimum level in a timely manner. As you know, such service is invaluable when you have a business to run and customers to satisfy. Therefore, finding out the exact type of warranty offered by each brand will go a long way toward helping you make the wisest decision for your individual needs. The inner and outer dimensions of refrigerators and freezers vary significantly from one model to the next, and choosing the appropriate size is never a decision that should be made lightly. To locate the perfect unit for your kitchen, begin with what you already know. A good place to start is measuring the dimensions of your food service area so that you can find a refrigerator that fits perfectly in the space your kitchen provides. Make sure you measure doorways and hallways as well, as this will ensure that there will be no delivery problems with the model you select. After this, consider the refrigerator's interior dimensions and give some thought to the amount of storage space you will need on a regular basis. This can be somewhat tricky, as certain units appear to be the same size when viewed from the outside, but the available cubic feet within the model may be larger or smaller. Think about your regular stock purchases and the number of consumers who visit your establishment on a day-to-day basis. This will make it easy to select a model that will accommodate your restaurant's needs. The condensing unit of your refrigerator is the component that has the challenging task of keeping your stock of perishable fare cold. Condensers may be bottom or top mounted. Bottom mounted models are frequently selected by those who are searching for a unit that is easy to maintain and clean. They also offer easier accessibility to stored food and do not put as much strain on the unit when temperatures are warm as top mounted models. However, the latter are sometimes preferred by business owners because they do not trap as much debris and dust in evaporator trays, and do not blow warm air into the cabinet after the chef or other worker opens the doors. There are advantages and disadvantages to both types, and only you can decide which is best for your particular business. It is imperative to keep a commercial refrigerator healthy and clean. Sanitation of such units involves more than merely polishing the outside surface for the sake of customers. It also involves cleaning the interior of the refrigeration unit. If proper temperatures and sanitation are not maintained, the quality and safety of your food products may be compromised, as microorganisms grow easily in unsanitary environments. You can also save money on refrigeration costs by completing simple tasks, such as replacing old gaskets and checking the refrigerant charge on a regular basis. In addition, placing night covers on refrigerated display cases and using automatic door closers on walk-in models both go a long way toward saving energy and cutting costs. Ultimately, when you follow the steps outlined above, you will almost certainly choose the commercial refrigerator that is best for you. Additionally, by maintaining and cleaning your new unit on a regular basis, you can avoid costly repair bills and enhance the unit's longevity for many years to come.